Danish Sociological Association is a voluntary association for anyone with an interest in sociology. The association was formed in 1965 with the purpose of creating a broad organization for sociologists and everyone with an interest in sociology, where sociology could be debated and developed in different ways. This goal is still a focal point of the association. Previously, the association required that all members had completed or were going to complete an education in sociology – this requirement was removed with a statutory amendment in 2015. Today, sociology has spread to many different areas of work, which increases the need for a community where the awareness of sociological professionalism can be debated and strengthened. In the Danish Sociological Association, we support networks and knowledge sharing across both public and private sectors, employed and students, and various subject areas. Through our numerous activities, we create the opportunity to gather different parts of Danish sociology, so as many actors and voices as possible can be involved in the development of sociology in Denmark. The association currently has more than 600 members which includes both students, employees and retirees. It is a focus of the association to represent sociology widely and not only represent specific topics or age groups. We therefore seek to have at least one member of the board of The Danish Sociological Association elected among those working outside academia. The students will influence the future of sociology and, therefore, the association also wants to strengthen transgenerational communities. The association always has several student representatives in the board and arranges various activities that are specifically targeted at the student community. Geographically, the sociological landscape is spread widely across Denmark. Sociological educations can be found at universities in Copenhagen, Aalborg, Esbjerg, Aarhus, and Roskilde. It has great importance to the association to support these educations as well as further training of sociologists after they have completed their university education. The various research areas at the Departments of Sociology in Denmark demonstrate the diversity that is characteristic for Danish sociology. Currently, central research topics at the University of Copenhagen (KU) include the big project “Green Communities in the City”, which focuses on civil engagement and urban ecology, as well as the Employment Relations Research Centre (FAOS), which for more than 25 years has worked with sociological analyses of the Danish labour market and labour market regulation. Aalborg University (AAU) has a tradition for combining sociological and criminological research which examines social differentiation and social control. The research community in Esbjerg (SDU) is characterized by combining sociology and anthropology with a focus on cultural sociology. At Roskilde University (RUC) sociology is integrated in an interdisciplinary approach to social sciences. Recently, RUC has started a new research centre on the quality of life for children and young people with disabilities and they have just launched a research project about the relationship between sociological research and European research policy. The Danish School of Education at Aarhus University (AU) focuses on mechanisms of inclusion and exclusion in school environments and the Center for Sociological Studies in Aarhus combine both different professions and different institutions in their perspective of sociological issues. Finally, at the Copenhagen Business School (CBS), studies of elites in the Danish society are gaining a lot of attention. Most of the events organized by the association take place in Copenhagen, but it is a clear focus for the association not to limit itself to the metropolitan area. Therefore, the association has board members and activities in both Aalborg and Esbjerg, and we support the establishment of local associations within the framework of the association’s activities. Sociology also plays a central role in the rest of the world. Therefore, the Danish Sociological Association is a member of – and works closely with – several international associations such as the Nordic Sociological Association (NSA), the European Sociological Association (ESA) and the International Sociological Association (ISA). It is important for the association not only to strengthen the professional community in Denmark but also across national borders. It is furthermore essential for the association to promote cooperation in sociological research both in Denmark and internationally. Each year, the association offers around eight to ten events which are free and open to all with an interest in sociology. 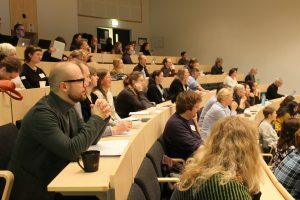 The events range from lectures to debate panels and topics are often inspired by the latest research results, thematic issues in sociological journals, or current challenges and opportunities in Danish society. Several of the events are organized in collaboration with local networks and organizations such as the Department of Sociology at the universities, debate networks, or student organizations. In 2017, the Danish Sociological Association organized nine free events. 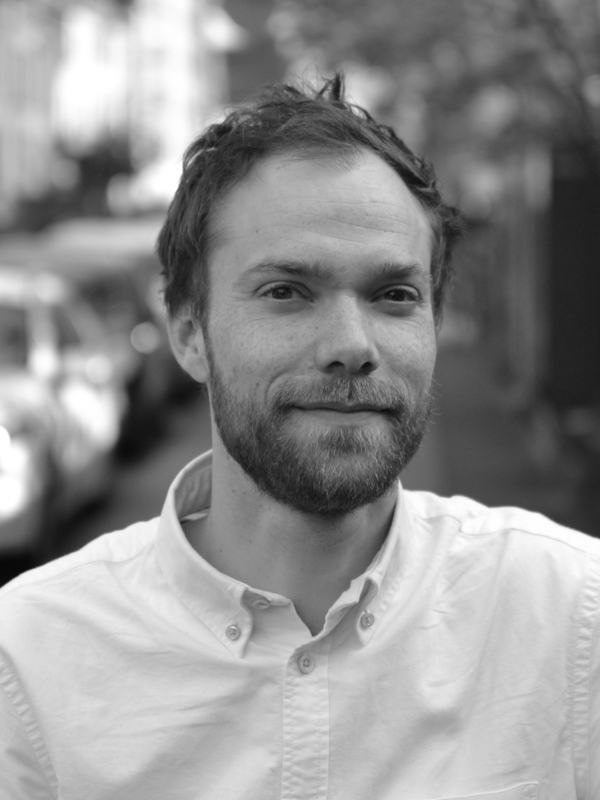 During the year, the association collaborated with several co-organizers, including the Regensen’s Knowledge Festival, Symposion, where the association was co-organizing a lecture with one of the great current sociologists, Professor Loïc Wacquant. The event had an impressive attendance in Regensen’s great hall, where several had to stand outside the door of the hall and listen. The autumn event “Digitization of the Labour Market”, in collaboration with the research centre FAOS, launched a debate on digitalization. 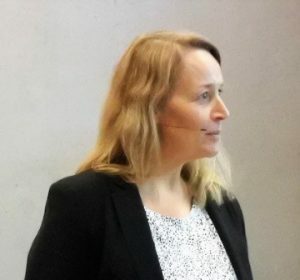 Here, the president of the association, Anna Ilsøe, and her scientific assistant, Louise Weber Madsen, presented the results of a new survey about automation of work and use of digital platforms on the Danish labour market, followed by a panel debate with representatives from the Danish Chamber of Commerce and HK/Private. use sociological tools and knowledge actively in their future work and offer advice for the transition between being a student and a sociologist on the labour market. The event highlighted the unique scope of sociological methods, when working as a sociologist. Members of the association have the opportunity to participate in two to three methods courses each year, where both students and professionals can develop skills in new sociological methods. In spring 2017, the association offered the methods courses “Facebook likes as data” and “Webcrawling and -scraping”, which highlighted the new possibilities digital data provide for sociological studies. In the autumn, the course “Causality in Quantitative Methods” introduced the participants to new solutions on some of the most fundamental questions in statistical analyses. Every second year, the Danish Sociological Association invites all Danes with an interest in sociology to a two-day congress. During these days, knowledge, new research results, and ideas for further studies are exchanged. Different sociological environments meet and together we become more aware of what is happening in contemporary sociology. 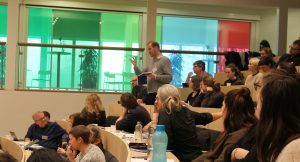 In January 2018, the association organized the Danish Sociology Congress in collaboration with the University of Southern Denmark (SDU). It was the first time that the congress was held in Esbjerg and it was a success that sociologists from all over Denmark had the opportunity to experience the university and research community in Southwestern Jutland. 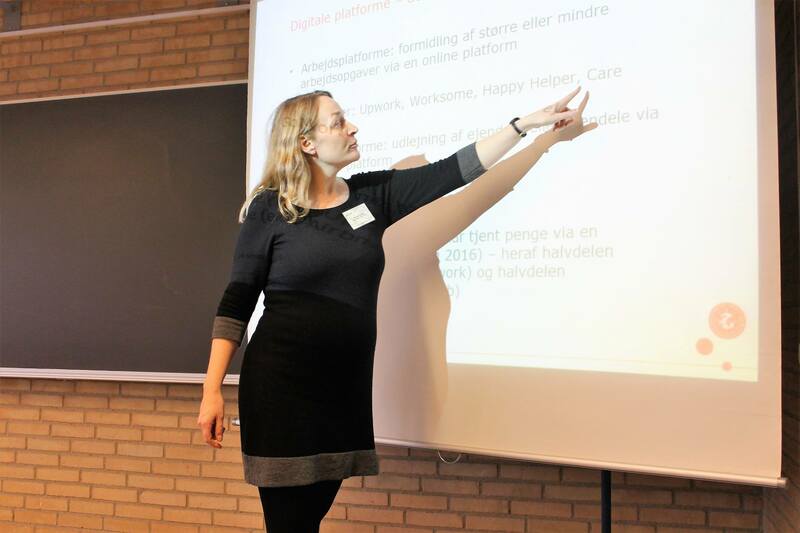 The program was filled with sessions on some of the most current issues in Danish sociology, such as crime, digitization, and exclusion among children and young people. There was also an international dimension to the congress, as keynote speakers from the US, Norway, and Russia offered insights on sociological issues in a global perspective. Each year, the Danish Sociological Association publishes four numbers of the scientific journal Danish Sociology. The journal’s editorial board is formally and practically independent of the association. However, like the association, it has the aim to convey new sociological research. The journal contains both scientific articles, essays, and book reviews and is often published as thematic issues such as “Social and Emotional Communities” or “Climate Sociology”. 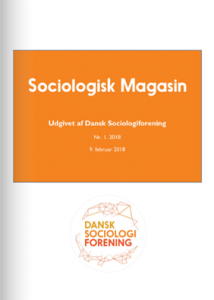 All members of the association receive the four issues of Danish Sociology for free. 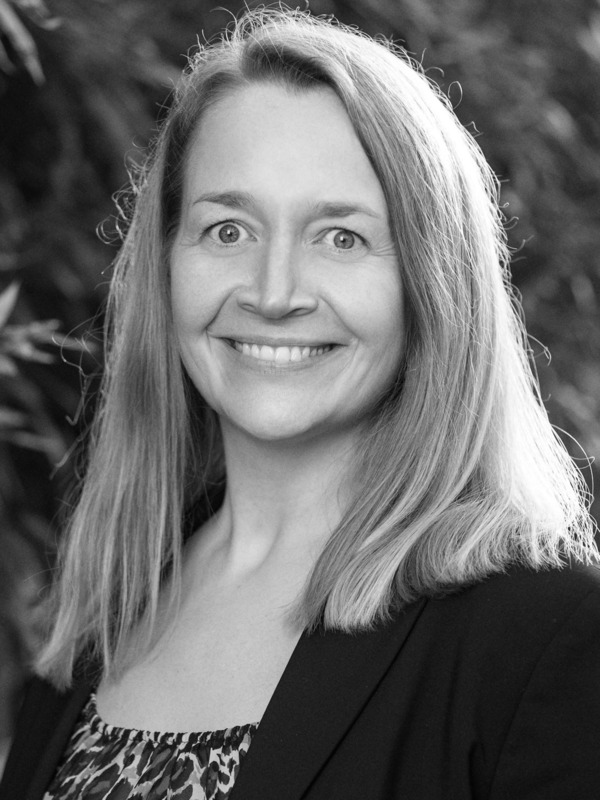 In addition, members also receive four annual releases of the journal ACTA Sociologica for free, published by the Nordic Sociological Association. In early 2018, the association published the first issue of its free online magazine Sociological Magazine. The association needed a new format to distribute knowledge about sociology in Denmark in other ways than through scientific articles. The Sociological Magazine focuses on the new and exciting topics of sociology in Denmark – both inside and outside the university walls. The pivotal point of the magazine is to portray contemporary Danish sociology as both a profession and a field of discussion in the private and public sector. The magazine is published at least once a year and will contain minor analyses, interviews, and reports from the sociological world. The first release of the Sociological Magazine contained career portraits of four working sociologists. The association communicates its activities through the web page as well as our Facebook page and Instagram profile. Furthermore, we send a newsletter with information each month to all our members and others with interest. A communication group within the board of the association has been in charge of developing our logo and visual design. Danish Sociological Association has existed for almost 60 years. During the years, the association has evolved and sought to meet the changes that sociology has undergone since 1965. But what does the future look like for sociology in Denmark and the Danish Sociological Association? This is a question we will deal with in the coming years. In the short term, we have launched an exciting spring program for 2018, which opens up for debates on topics such as economic inequality, the concept of money in a sociological perspective, and how sociologists can contribute to social change in society. But other factors also indicate an exciting future for sociology in Denmark. In recent years, the number of members has been increasing and we see it as an expression of renewed interest in sociological knowledge sharing and sociological communities. 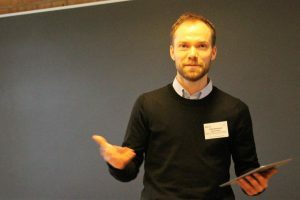 A local branch of the association is on its way in Esbjerg and the desire to organize sociological events is also seen in Aalborg, where a local branch of the association already exists. The Danish Sociological Association looks forward to supporting these new initiatives. If we want to know where we are heading, we need to know where we already are. Therefore, the Danish Sociological Association will start a research project on sociology in Denmark in 2018. What trends are seen in contemporary sociology? How does the labour market look for sociologists and what challenges and opportunities do they meet? What topics are the most influential in sociological research in contemporary Denmark? These questions are crucial for a closer understanding of where Danish sociology is heading. The results of the research project will be published in the Sociological Magazine. Naturally, we do not know the exact future of Danish sociology, but we look forward to experiencing it!